Jackie desperately needs new stucco. She gets three quotes and three vastly different opinions. So, now what? Jackie fell in love with her home at first sight. She loved the tucked away location on a quiet dirt road, the beautiful view of the mountains and the home’s pueblo style architecture. She had been warned about a flat roof home but loved the simplicity and clean lines along with the muted colors of the sandstone stucco. She decided to purchase the home in 1995 and moved in just in time for Thanksgiving. As a first-time homeowner she was not aware of some of the looming issues (don’t get her started on the septic tank!) but over time, learned some important details she wished she had known from the beginning. After about 18 years, Jackie noticed the stucco had begun to crack. Her father who had been on the roof informed her that the stucco on the parapets were beginning to crack and deteriorate. Jackie was embarrassed to say she did not know what a parapet was (most people don’t). On a flat roof pueblo style home the parapets are an extension of the wall at the edge of the roofline. If you look up to the top of the home where the walls meet the roof you’ll see the parapets. 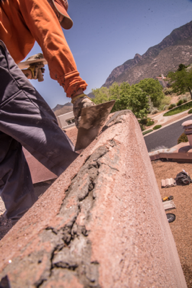 Cracks, Parapet Damage and Leaks – Oh My! After about two years, the cracks grew dramatically. The weather had done enormous damage to the stucco. Water was wicking up from the base of her home for 20 years. She could no longer delay the stucco maintenance, despite juggling several major home repairs (yes, the septic tank!). However, the parapets were now crumbling from years of intense UV rays and freeze/thaw cycles. Big problems started to arise. One afternoon during a New Mexican monsoon, Jackie developed several leaks in her hallway. She can now jokingly refer to it as an “indoor downpour.” But it wasn’t so funny at the time. She immediately hired a roofer to repair the leak with plans to install a new roof at the start of the year. 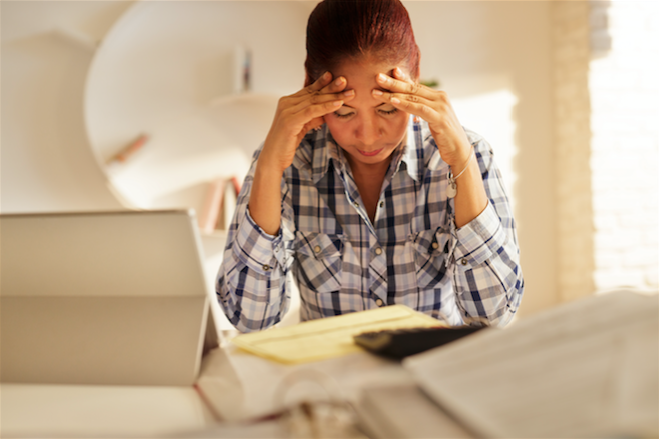 The roofing company warned her about the poor state of her parapets and urged her to contact a stucco contractor as soon as possible to address her stucco issues. Jackie made appointments with three stucco companies for estimates to re-stucco her home. The first stucco representative arrived for the appointment at Jackie’s home. He walked the property with her while identifying several problems with the stucco. He then measured her home and examined the parapets. He could clearly see that her parapets were badly damaged and, in his opinion, needed to be completely rebuilt. She was told that the underlying wire and the sheathing on the parapets were visible. He provided a written estimate outlining his recommended scope of work. He suggested that they install a metal lath to the parapets and apply a base coat over the metal lath. He also recommended waterproofing the parapets with a fiberglass mesh and a waterproof material. He pointed out the water intrusion problem at the base of her home and noted the many large cracks around the home. He recommended patching the cracks and voids and applying an elastomeric synthetic stucco finish to the home. The representative was there about 45 minutes. The second representative came to Jackie’s home, walked the property and evaluated her stucco issues. After measuring her home, the representative sat down with Jackie and her father to explain his recommendations. She told the representative she preferred the look of traditional stucco with a rough texture. The representative told her that because she has a synthetic stucco finish on her home currently, she would have to apply another synthetic finish to her home. He suggested installing a flexible fiberglass mesh over the badly damaged parapets rather than rebuilding the parapets. His proposal included applying a base coat over the entire house, a primer coat and an elastomeric synthetic stucco finish to the home. He offered her a ten-year warranty and if she signed that evening he would take an additional 5% off the quote. The representative estimated his stucco system would have a lifetime of 40-45 years but backtracked when she asked further questions about the warranty. He was at Jackie’s house for nearly four hours, leaving well after 9:00 pm. She explained several times that she was waiting on another estimate but he did not want to take no for an answer. The third representative, who was a friend and colleague of Jackie’s and a local trusted stucco contractor, came out to Jackie’s home and walked the property with her. He measured her home and examined the parapets. He then discussed his concerns with her about the numerous cracks and the poor state in which her parapets were in. Also, the representative felt that her home was beyond a simple patch and color coat due to a soft and loosely deteriorated base coat that was exposing itself within and behind the cracks. She was shocked to learn that the most important layer for a home is the original base coat. This will determine the longevity of the stucco. Unfortunately, the original base coat appeared to be of poor quality with an incorrect ratio of sand, cement and water. It also lacked acrylic in the mix. As a result, her stucco walls were soft to the touch. Jackie’s water intrusion problem had intensified an already compromised base coat. He was the only contractor who expressed his concerns about the original base coat and pointed out that the parapets had not been waterproofed when the home had been built, this in turn accelerated the weathering process. Jackie was grateful for his advice since it was a significant investment. The third representative also recommended completely rebuilding the parapets with a heavy gauge metal lath and a reinforced cement base coat. In addition, he recommended re-lathing the entire home with new tar paper and metal lath. Then applying a new fiber-glass reinforced base coat over the metal lath and paper. This would address and correct the soft deteriorated base coat. His estimate included waterproofing the parapets with a water-resistant base coat and a high-quality fiber-glass stucco mesh. His quote included an acrylic primer coat and a hand troweled high-performance elastomeric synthetic stucco finish. He offered her a twelve-year manufacturers’ material and labor warranty. Three Different Estimates & Opinions – What?! Jackie was overwhelmed by so much information. She felt confused by the inconsistencies in the recommendations given to her by the different stucco companies. She was also disappointed to learn the full extent of the work that seemed necessary. However, she was better-informed, thanks primarily to the third representative. But now she had more questions for the first two companies. 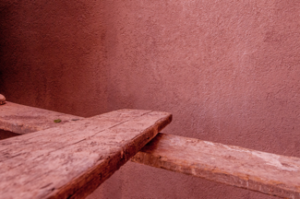 Jackie had not been aware that everything from the choice of product, to how the product is mixed and applied could impact the life of her stucco so dramatically. As she began to evaluate the differences she had some misgivings about the information she was given and the information that some of the contractors appeared to have excluded. The first representative was a very nice gentlemen, kind and polite who did not take up too much of her time and she didn’t feel pressured. The second representative was a nice charming young man but she felt pressured to decide on the spot and he spent four hours at her home, making her head spin! The third representative, a friend and reputable contractor whose work she was familiar with, was offering her a complete package along with the best warranty. The first representative didn’t leave any product information and didn’t explain his warranty to her. He did say that he was the owner of the company and his employees were not subcontractors or freelancers. After reviewing the proposal from him she found that there was a two-year applicator warranty stated on the backside of the proposal. Jackie was surprised to see such a short-term warranty. Initially, she was pleased with the estimate but after meeting with all the companies, she was skeptical that simply patching would not be enough to properly repair the large cracks and address the soft base coat issue. She was also concerned that large patches would show through since they would not be applying a primer prior to the finish coat. However, he was diligent in his follow-up and did not pressure her throughout the process. Jackie felt that the second representative was driven to close the sale during the appointment and had not addressed her concerns about the parapets. This company offered her financing rates and steered the discussion toward colors rather than the performance and attributes of their stucco products. She didn’t like the fact that the company subcontracted out all of their work. And he didn’t leave her with any product information or brochures either. She was under the impression that she would need to pay a premium for the application of the rough texture she desired. She felt more confused after reviewing her notes and was unclear on some of the terms. The third representative asked important questions about how long she planned to live in the home (forever) and when she planned to retire (not soon enough!). 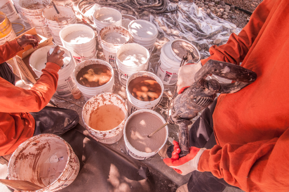 After probing further, the third representative recognized that it was the rough brocade texture of the traditional cement stucco application that she was drawn to and explained that the texture she desired could be accomplished with the synthetic elastomeric product. By taking these factors into consideration he recommended the elastomeric finish for long-term durability. A traditional cement finish would require her to re-stucco in about 15-20 years and would be difficult to manage on her retirement income while the elastomeric synthetic finish would most likely outlast her lifetime. He left Jackie with product literature and explained the specifications of the recommended elastomeric product and their successful track record using it to stucco homes and buildings in the harsh high desert and dry arid climate of New Mexico. So, How Do the Offers Stack Up? The first quote appeared to be a good option, until she researched the product and the warranty further. If she selected this contractor, it would have been the equivalent to a cosmetic re-touch, without protecting her home for the long-term. Jackie was relieved that she was able to fully evaluate the estimate. Although it met her original budgetary goals, it would have been a short-term and more costly solution in the end. She said the second company made her feel like they were selling used cars and kept steering her toward financing options and payments to meet her goal budget despite her desire to pay cash. And more importantly they were not waterproofing her parapets or addressing her poor base coat. Jackie decided to go with the third representative, her friend and trusted local stucco contractor -Tesuque Stucco Company, LLC. She said Tesuque Stucco listened to her specific needs and advised her on the best long-term options. She told all three companies that she wanted the best price possible but not at the expense of quality. 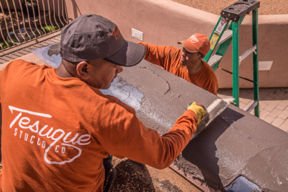 Tesuque Stucco was the only company that fully explained the pros and cons of each scenario. Their quote addressed issues that the others had not explained during the estimate process. His proposal offered her total protection and peace of mind, with the longest and most thorough warranty. Buyer beware, do your research before hiring a stucco company to maintain your home. Do the companies have the same opinion or are they different? How do their offers stack up? Make a chart similar to the one above listing the different components being proposed. Are the companies providing you with high quality materials or cheap decorative coatings? If you have parapets are they being water-proofed? If so, how and with what product are they using? If you have a poor base coat or possibly a frozen base coat, do you need to have your home re-lathed? Behind the Warranty. 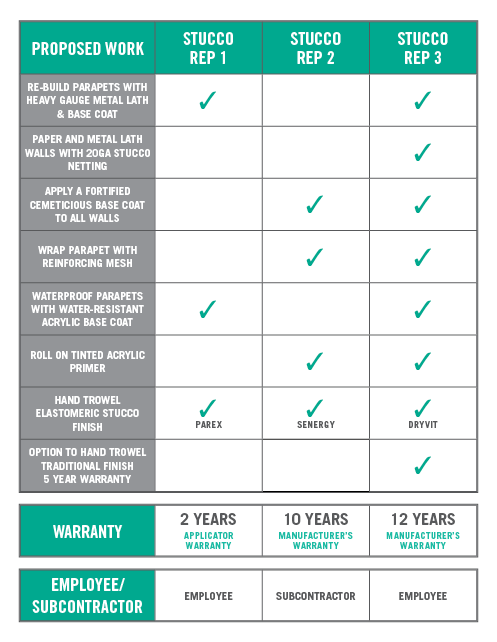 What kind of warranty are you getting? Applicator, manufacturers, material, labor, term, coverage? Does the company have their own employees or are they sub-contracted out? Inquire Before You Hire. Check the company’s credentials, are they licensed, bonded and insured? Are they accredited by the Better Business Bureau? And by all means ask for references. All too often, consumers just see price and not necessarily quality and reputation. They then find themselves right back in the same situation they were in to begin with. 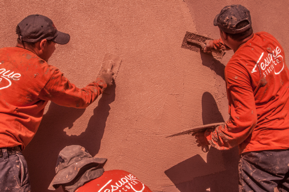 If you are considering Tesuque Stucco Company to install a new stucco system on your home or place of business Jackie is available as a reference. For more information from Tesuque Stucco Company go here; for a free quote go here. I interviewed Jackie for this case study after she had gone through an arduous and frustrating bidding process to simply restore the stucco on her home. 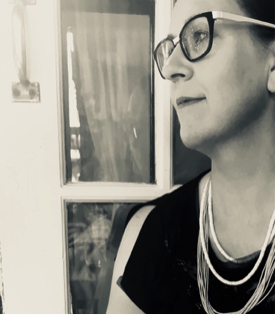 Jackie was willing to share her experiences with me in order to help others facing the same confusing and difficult decisions when hiring stucco contractors to perform home maintenance. This case study is verifiable. The names of the stucco companies except for Tesuque Stucco Company, LLC have been left out and the consumer’s name has been changed to protect her identity. 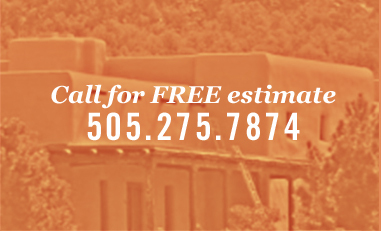 Please comment below about your experiences seeking estimates for stucco work.